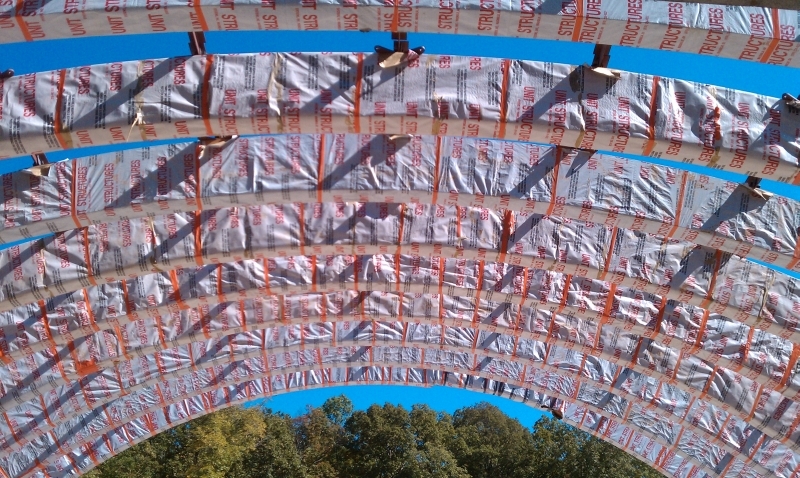 Comments: GluLam arches attached to 4” diameter steel cable. 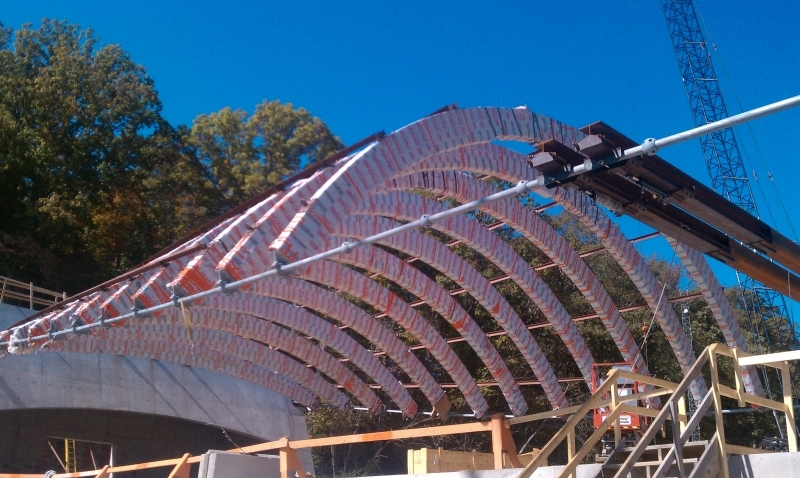 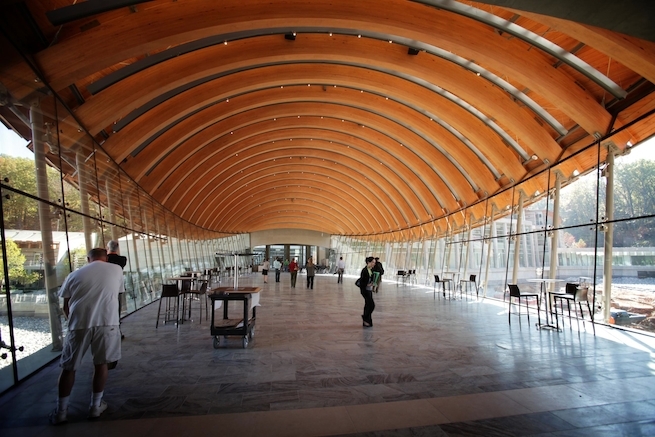 Temporary steel spreaders were engineered and fabricated to space the steel cable as the GluLam arches were installed. 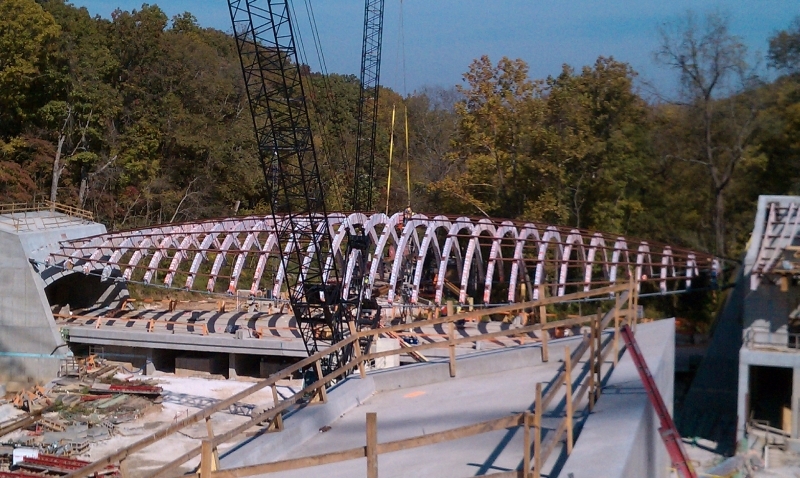 The GluLams were bridged with structural steel members and large lag bolts. 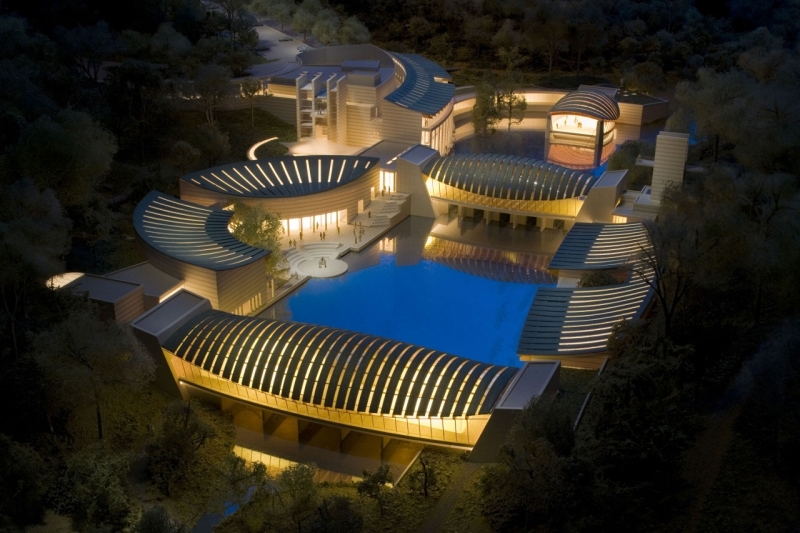 This project was featured on cover of ENR.